A retired basketball player who played in the NBA and overseas died after a long battle with cancer. 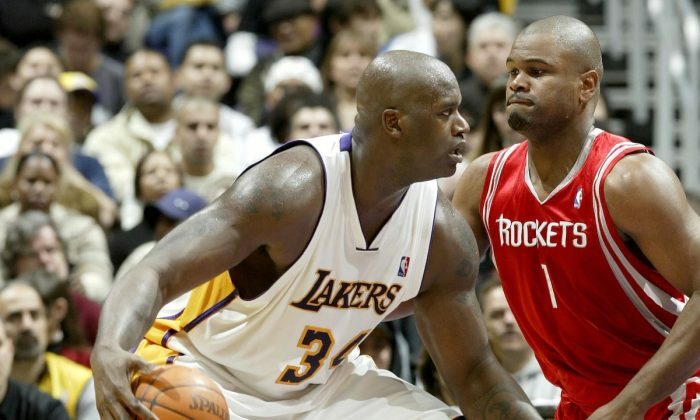 Alton Ford played in regular season games for the Houston Rockets and the Phoenix Suns before moving on to play in NBA affiliate D-League teams and overseas. He retired in 2011, Houston Chronicle reported. Ford was a player with All-American accolades during his playing days at Milby High School in Houston, Texas. During his senior year, he averaged 23.5 points, 15.4 rebounds, and 2.8 blocked shots per game. His performance led to him being selected as a finalist for the Naismith High School Player of the Year Award. He was seen as one of the hottest players coming out of high school at the time, according to a webpage formally posted at NBA.com. He then went on to play with the University of Houston Cougars, where he played one season before entering the NBA draft. At college, he ranked third on the team with 10.8 points and 5.9 rebounds per game. He played in 26 games and started in 18 of those games for the Cougars, according to the NBA.com profile page. Ford was selected in the second round, 50th overall, by the Phoenix Suns. He was known at the time for his strength and toughness, impressing NBA scouts by bench-pressing 185 pounds 21 times during pre-draft camp, according to NBA.com. His first year in the NBA was his most prolific, playing in 53 games during the 2001-2002 season, averaging 3.1 points per game and 2 rebounds a game. In his next season with the Suns, he only played 11 games. And then only played nine games for the Rockets during the 2003-2004 season, according to ESPN. He was also on the rosters of the Sacramento Kings and Orlando Magic, but did not play during the regular season with those teams, according to Fox Sports. He then went on to play overseas and in the NBA’s affiliate D-League, now known as the G-League, the Houston Chronicle reported. The University of Houston posted a tweet about Ford’s passing, saying it was due to cancer, and that he leaves behind a wife and three children. The Phoenix Suns also posted a message about Ford, via Facebook.